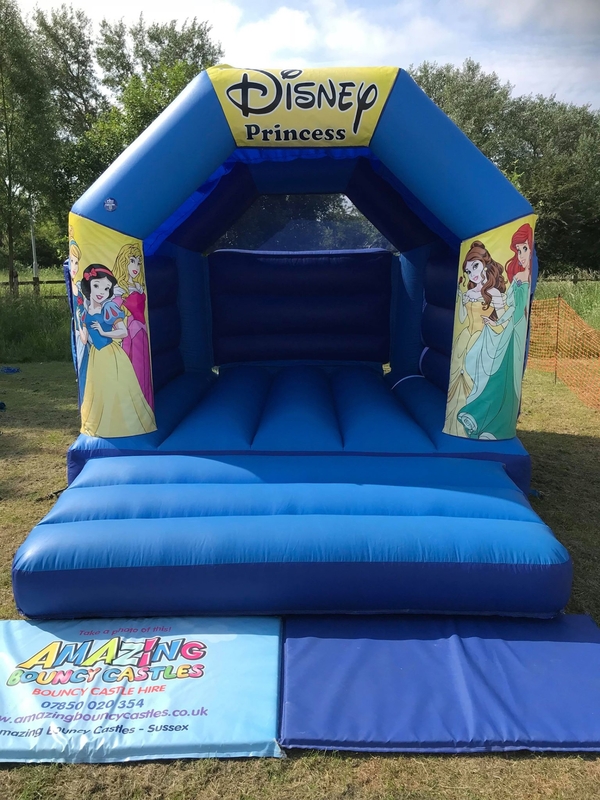 This Bouncy Castle in blue is a very popular choice at Children's Parties, Weddings and Family get togethers of any kind. With reinforced seams, the bouncing area is suitable for up to 6 Children at a time. Book early to avoid disappointment as our Castles are popular. We area are a Member of BIHA and TIPE, and we strive to maintain the highest standards in everything we do. This Castle, like all of our units, has a valid RPII certificate and its blower is regularly PAT tested. Two forms of I.D will be required before we can drop off the unit. Our friendly staff will give full advice on how to safely manage your Castle when dropping it off. Please allow at least 15 minutes either side of your allocated pick up and collection times for our team to properly erect and secure your Castle. Our Castles are cleaned between hires and our stock is regularly rotated, so all Castles are under 3 years old and in brand-new condition. 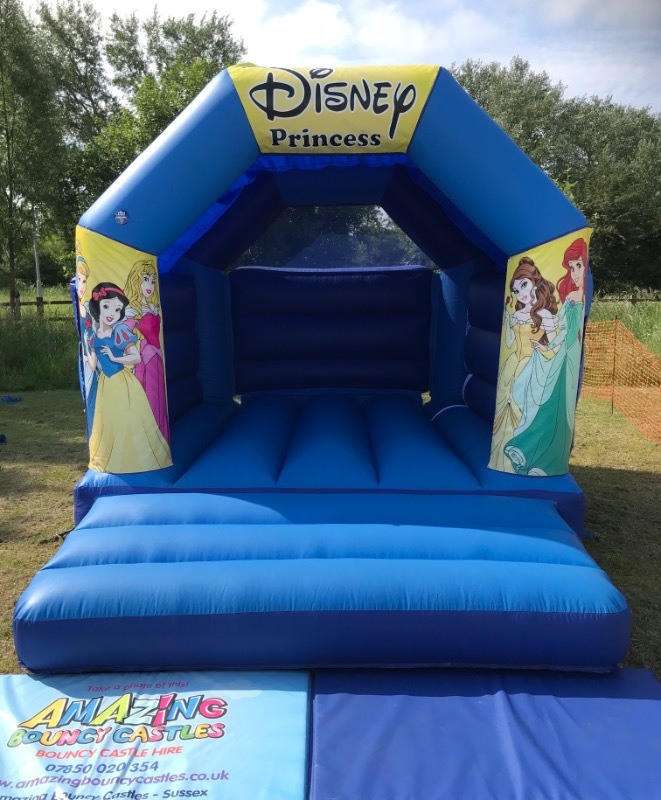 To book this Themed Bouncy Castle , just Call, Email or use the Enquiry page.